We need you! The players need you! Everyone needs you on the field as an umpire of girls and women's lacrosse! 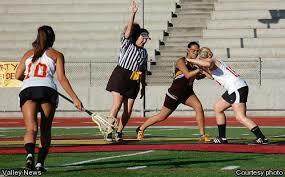 Have you considered officiating women's lacrosse?? Not sure exactly what that entails? IWLUA assigns US Lacrosse certified umpires for the Treasure Valley Youth, and Tresaure Valley Women's Lacrosse Leagues, and conducts business as a State of Idaho recognized business enity. We also have umpires that ref college level games, and refs that travel out of state for games and tournaments at all levels of play. Let us know if we can assist you!